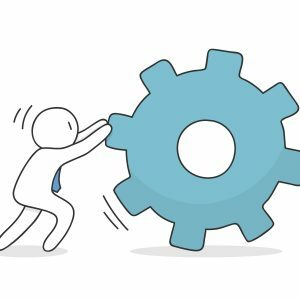 You can find our general trouble shooting guide here, including issues you may encounter with Squarespace. 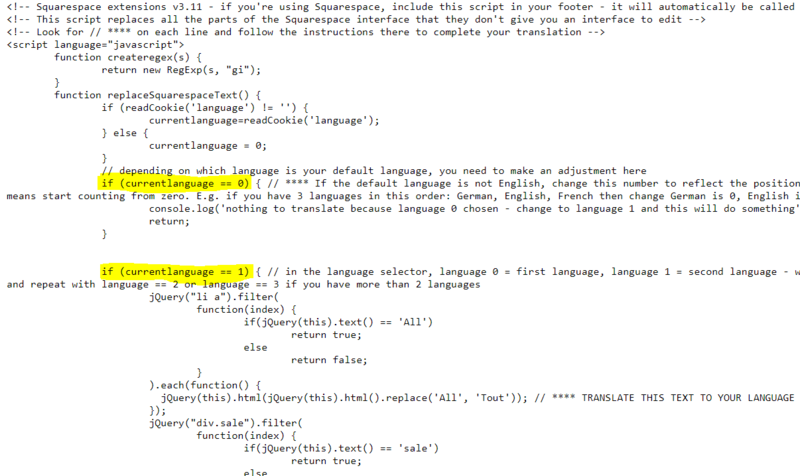 If you wish to translate the hard-coded text in Squarespace then read on. If you are using Shopify, you get access to the underlying theme files to edit the translations and can use the Multilingualizer formatting to make these pieces of text bilingual/multilingual. With Squarespace templates, you *can* get access to these files as a developer but it’s non-trivial. There are hard-coded pieces of text such as error-messages on forms, placeholders for search boxes, form titles etc. Note: The above extensions file includes translations for most Squarespace templates from English to French. For other languages, you will need to modify the translations yourself. 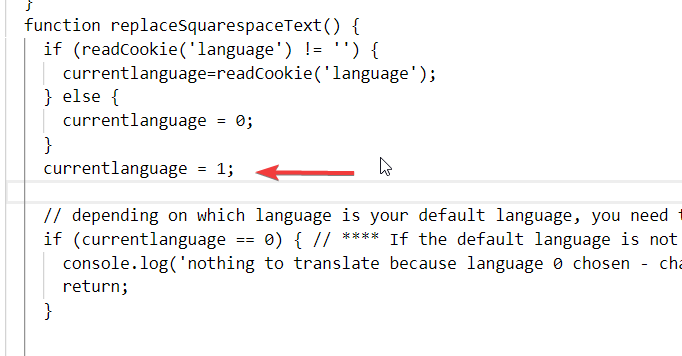 If you are using English and French, you can just paste the code above into your footer (below any other scripts you may already have). If your first language on your site is English, and your second language is something else then all you need to do is change the French translations in the file to whatever your target language might be. Find the first yellow block in your copy of the text file, and change the number 0 to the position of English in your configuration. For example, if you have Portuguese followed by English then Portuguese is position 0 and English is position 1, so change the number here to 1. Still using the same example, Portuguese then English, find the second yellow block and change the 1 to a 0. This whole block will then be used for language 0 (Portuguese). If you have a third (or fourth etc) language, copy everything from the second yellow section above and paste it to the bottom of the script and change the number to 2 (e.g. if you had Portuguese, English, French). Finally – you can extend the hard-coded translations script yourself if you find your theme has extra pieces of english-only text we’ve missed. You can repeat as necessary for any other pieces of hard-coded text that are missing from your specific theme. 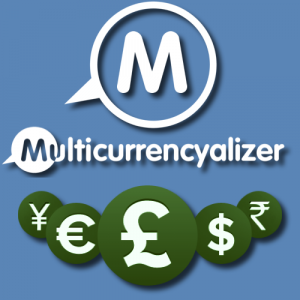 By default, the Multilingualizer will detect the users language from the browser settings. 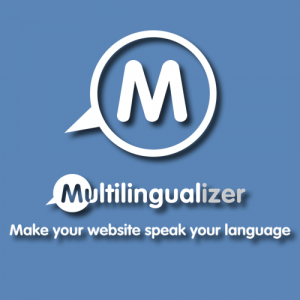 If you are using the Multilingualizer and the hard-coded text file to force all text to be in 1 non-English language only, then you should take this extra step to make that happen.